Common challenges in integrating software include partial installation, lack of training, internal resource constraints, proper configuration and an inability to maintain security optimization. Optiv can help you overcome these through delivery of Cylance ThreatZERO services. 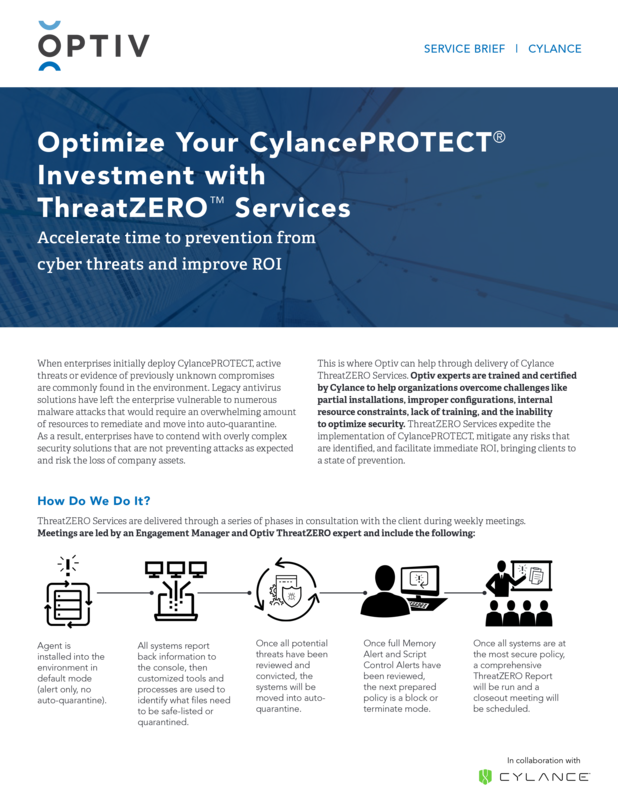 ThreatZERO services expedite the implementation of CylancePROTECT, mitigate any risks that are identified, and facilitate immediate ROI, bringing you to a state of prevention.